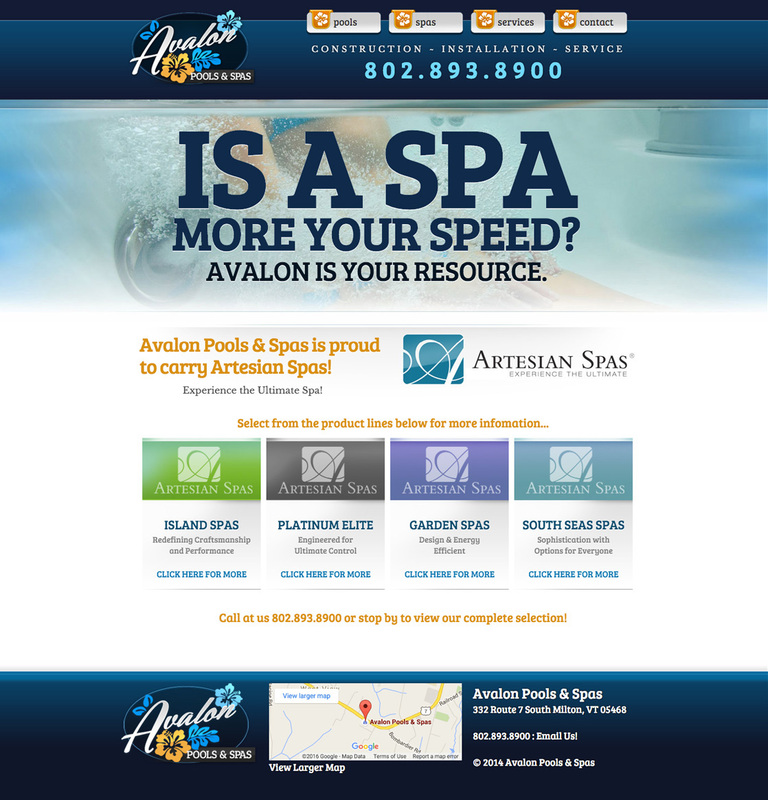 Our task was to design a simple, clean, and affordable lobby site for Avalon Pools, a small but successful family business in Milton, VT. 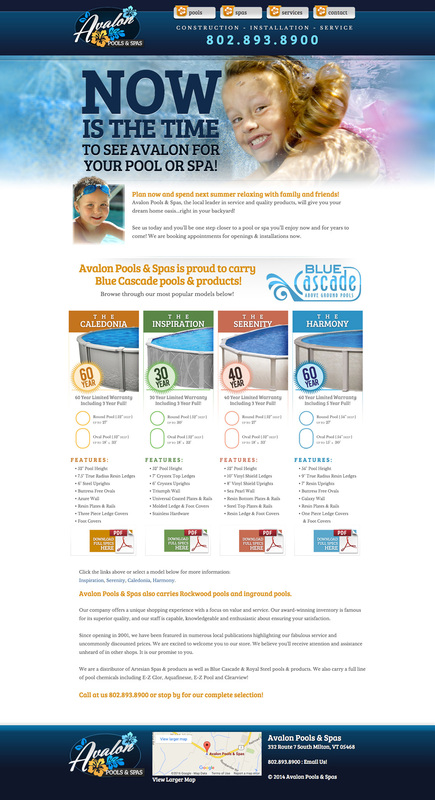 They wanted a platform that would present their product line professionally and deliver qualified leads. It appears to be working. We kept the website simple and direct, with features and benefits outlined for the user, and strong calls-to-action for lead generation. Avalon Pools now receives two or three serious inquiries a week through the site.